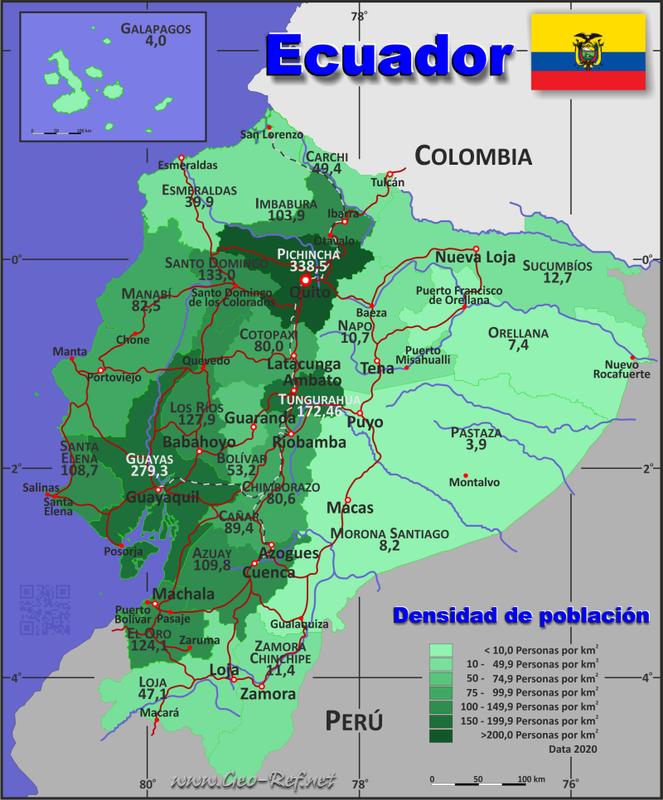 Ecuador - Click on the map to get a enlarged image in PDF format! The population data in the table below is an estimation for 2018, based on the census data from 2010. The provinces are divided in cantones, illustrated in the next table. Instead of the not existing ISO 3166-2 classification is used the HASC codification.